With over 25 years of experience in the human resources field, Lloyd Powell has an impressive background as a consultant and executive in the public and private sectors. As an Associate with KBRS's Newfoundland and Labrador office, Lloyd provides Human Resource Consulting services across a wide range of areas including compensation management, recruitment and general HR consulting. 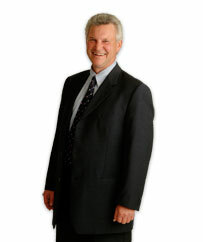 Lloyd’s career history includes his role as Vice President, People, with xwave, prior to which he led the Atlantic Canada consulting practice for KPMG. Before entering the consulting field, Lloyd was Assistant Secretary, Human Resources, for Treasury Board with the Government of Newfoundland and Labrador. He also served as Resident Supervisor, Industrial Relations, with Wabush Mines in Labrador. Lloyd holds a Bachelor of Commerce from Memorial University and a MBA from York University. He is also a Certified Management Consultant, a Certified Personnel Professional, and currently serves as Chair of the Board of Directors for the Janeway Children's Hospital Foundation in St. John's.